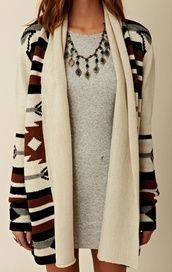 A long cardigan is a cute indie look that goes with almost every outfit. It has experienced a resurgence in popularity in the last five years, as everyone from celebrities like Jessica Biel to the barista at our local café has opted for this pretty boho look. 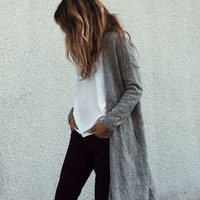 Whether it is summer and we just need to cover up with a long cardigan, or we are looking for an ideal wardrobe item for layering in the fall or winter, a long cardigan is an ideal style to wear. Check out Tumblr for an idea of the styles and models that people are opting to wear.